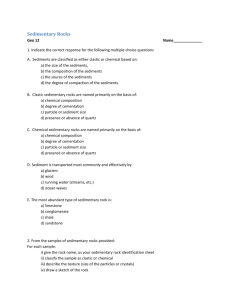 precipitate from the water and form solid rock. 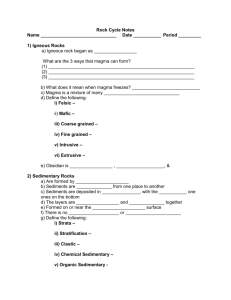 are eroded from previous rocks. 1. weathering from previous rocks. 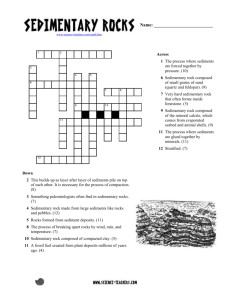 2. erosion of weathering products. 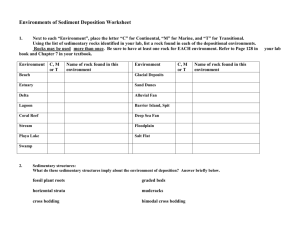 4. deposition of the sediments. rounded. This is called Rounding (Dah). 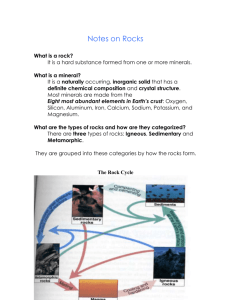 particle is farther from the source rock. and be replaced by other minerals. 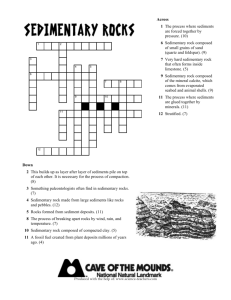 • Sands when buried lithifies to form Sandstone. 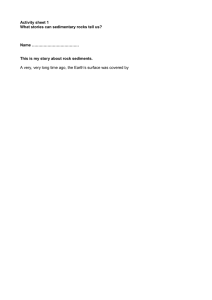 lithified. These tend to break on bedding planes. that occurs in this way. broken down also into 3 major categories. ocean waters and form shell material. 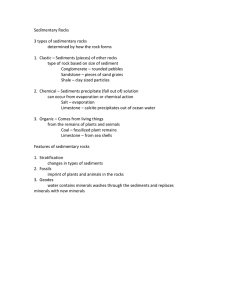 (carbonates), rock salt, and gypsum. as the M zone in the Mediterranean Sea. 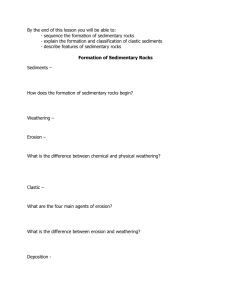 – What are sedimentary rocks. 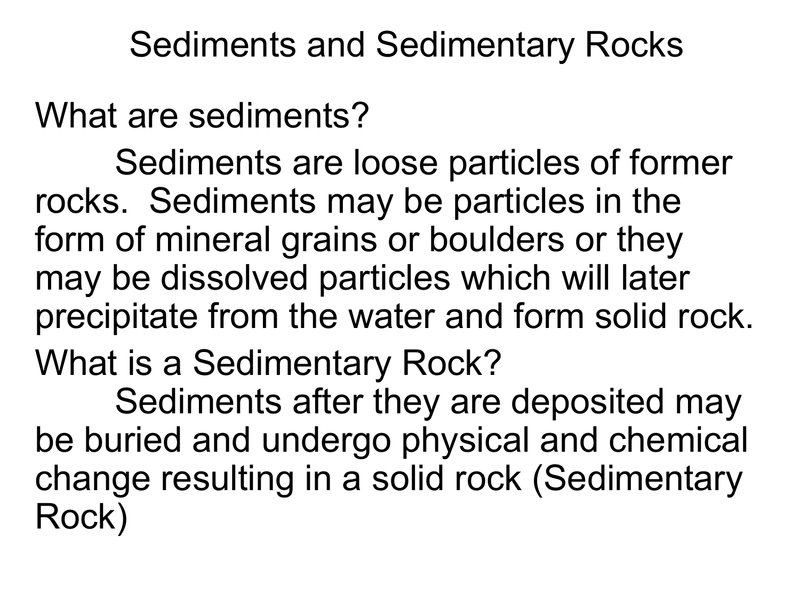 – What are the major sedimentary rocks. 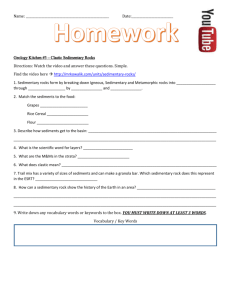 make up the sedimentary rock cycle.